Recently, the company’s own Google Deepmind health project for AI research uses medical records to provide faster and better health care. Google Deepmind can process medical information in hundreds of minutes. Although research is at an early stage, Google is now cooperating with institutions like Moorfields Hospital and the NHS to improve the system. IBM Watson, Cleveland Clinic, and Lerner Case collaborated with the Western Reserve University School of Medicine to launch a project called WatsonPaths in its own domain. WatsonPaths is a project run by IBM using the Watson AI algorithm, designed to help physicians make more informed, more accurate and faster decisions and to analyze electronic medical records (EMR). 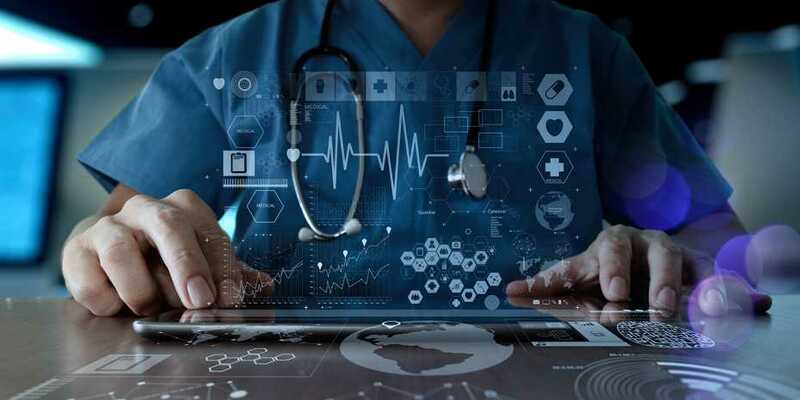 Careskore is a platform in Chicago that offers cloud-based AI solutions for the healthcare system and physicians. . Careskore is basically an artificial intelligence that uses the realtime Zeus algorithm and makes predictions using patients’ clinical, laboratory, demographic and behavioral data as a source. The aim of this data collection is to enable patients to acquire more transparent information about their own health and to increase the quality of service of hospitals. In addition, patients can enroll themselves in the system and learn about the risks and problems of their own health through this AI-based system. William King Zephyr, which Johnson & Johnson has developed to better analyze for various data doctors in 2011, is working on algorithms that will reduce the time needed for doctors to choose the right treatment. The project was chosen by readers of the PharmaVOICE magazine as the first in the Life Sciences sector as part of the 2016’s 100 most inspiring projects. One of the biggest advantages of this system, which can process a data set very quickly with machine learning algorithms, is that it allows visualization of large data. This Philadelphia-based start-up aims to provide support especially in the field of radiotherapy in cancer research and treatments. Radiation oncologist David Lindsay from Co-Founders has created a digital database of electronic medical records he has collected. I wanted to design a platform to help doctors in data analysis and radiotherapy treatment plans. And Oncora Medicine is established! In 2016, about $ 1.2 million has received an initial seed investment. In 2017, three major health centers plan to use its Radiation Oncology platform to help 10,000 patients with personalized treatment. It includes medical imaging and methods for imaging the internal structures of the body. X-ray, MRI, Ultrasonography, Tomography are some of the widely known. What comes to mind when you think about these imaging techniques? Sometimes even bigger, more expensive looking and complex machines than a single room … The biggest reason why these effective imaging technologies do not spread at all is that they require expensive and qualified human power. This is exactly the problem AI startups are trying to solve. 60% of the world still can not reach modern medical imaging. Jonathan Rothberg’s 2011 start-up, Butterfly Network, aims to create a new, significantly cheaper and more efficient medical imaging device from MR and ultrasound. The purpose of the Startup is to automate the ultimate goal of medical imaging. San Francisco-based start-up labs and researchers aim to design artificial intelligence that processes images to create a better view of the textures with the aid of microscopes. According to the company’s founders and COO’s Megan Klimen, 3Scan can remove tedious manual processes for researchers by using some tedious manual processes for tissue analysis. In addition, Klimen says that 3Scan can analyze the tissues that a pathologist will examine in one day in a much shorter time with traditional methods. Enlitic uses image recognition power to collect and analyze data, especially in radiology images, thanks to deep learning technologies. Enlitic’s artificial intelligence interprets medical images in milliseconds, about 10,000 times faster than an average radiologist. In addition, in a test conducted, three expert radiologists commenting concluded that the Enlitic system was 50% better at classifying malignant tumors. Impressive, is not it? The combination of cloud, artificial intelligence and medical imaging is the focal point of this triple Arterys. The pioneering start-up “promises to open up the medical imagery of the cloud”. New methods jointly developed with GE Healthcare Cardiac MR scanning takes 6-10 minutes instead of an hour and the patient does not need to breathe during examination. The records are designed to be processed on the Arterys platform to obtain many additional data including 3D heart anatomy, blood flow velocity and blood flow direction. Bay Labs Inc. is designed to assist health professionals in the interpretation of ultrasound in the diagnosis and treatment of heart disease. In September 2016, Bay Labs was established to help early recognition of rheumatic heart disease (RHD) in Kenyan school children. With this artificial intelligence, medical experts have scanned 1200 children in 4 days and have diagnosed 48 children with RHD or congenital heart disease.